I watched Angry Beavers the other night. My nephew, age 5, was over and we were looking for something 5 year old appropriate on Netflix. You can imagine the scene. Me, kid, couch. "OhmygoshAngryBeavers! We gotta watch this!! I used to watch this with my brother and sister!" I say to my nephew who speaks mostly Spanish. He smiles and says, "Ok."
So we watched it. And it was pretty awful. I was annoyed that Dagget was so uptight and that Norbert was such a lazy bum. I don't remember feeling so irritated. In fact, I remember quite the opposite, hence my insistence on watching it. I often allow the past to remain in the past. In that lovely hazy warm summer day kinda place, your memory. I have the tendency to heavily gloss over my past. When I think about childhood, I am entirely convinced I had the best childhood possible. And when I reflect on my school years, I think the same. And so on and so forth for every stage of my life. Time has a way of turning all my days into the best days ever. But when I'm deeply honest with myself, I do remember the more difficult time. The pressure of living up to my own expectations in high school, the loneliness that sometimes loomed in the corners of my college days when I just wanted to be home, or the confusion of trying to figure out who I am or, worse yet, who I'll be. I remember that. And I feel it. I know I haven't completely forgotten the trying times. Inevitably they live inside me each day, having made me who I currently am. But I choose not to allow them to make a home in the foreground of my mind. I prefer, instead, to remember each person as the best version of them, not necessarily disregarding the broken parts but perhaps just giving more weight to the beautiful pieces. And I generally do remember each event, though again perhaps allowing those pleasant ones to linger a bit longer. Even with these touched-up memories, it's rare that I find myself longing for the past. I generally recognize the beauty of the now. I appreciate this season of life. This time of loving my husband and our little home and the absolute freedom to revel in one another's company with no bratty adorable children to demand our time and attention. While I love to glance through old pictures or sit around sharing stories of days gone by, I almost never wish to return to those times if it would mean giving up what I currently have and the person that I've become. However, every now and then, a little piece of past sneaks up behind me or, at times, I invite it in. And it confronts me, begging me to remember it as it actually was. And sometimes I'm let down. 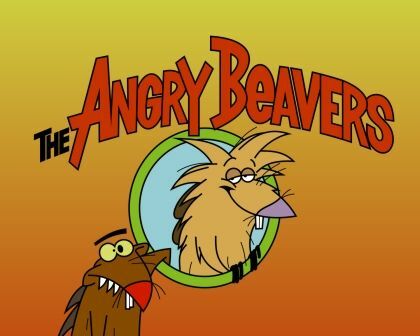 My adult self is disappointed with my choices or even my tastes, as in the case of the Angry Beavers. Somethings are best left behind, where they can live happily untainted in your memories. And sometimes I discover that that time or person was just as wonderful as the memory I've carried with me all these years. Like when my uncle recovered a video of myself and my siblings with my grandfather as he led the chant "We want cake NOW!" as he did every year on his birthday. Other times though. Oh, those other times, I'm shown something that my younger self somehow missed. A picture of my father's parents begs me to see that my grandfather loved not only his grandchildren but also deeply, deeply loved his wife. Something a younger version of me had no capacity to understand. A picture of my sister at age four with her arm around two year old me accompanies my aunt's words, "See how much you love each other." And I don't hear the arguments that reigned throughout our childhood relationship. I see what I couldn't then see from my younger "my sister is so mean" eyes. That it is indeed possible to argue over jeans while still caring deeply for each other. These kinds of memories, they have a way of finding you when you're finally the you who is ready to accept them as they really were. And sometimes that's difficult. Oh but sometimes, you find something even sweeter than what you remembered. 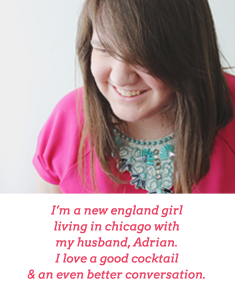 I just have to say that I love the look of your blog! It is absolutely adorable! So glad you found me! 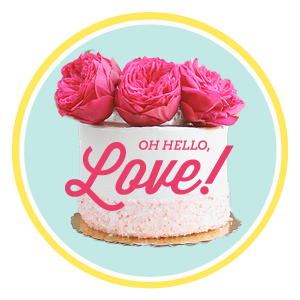 Now, just after you said my blog was adorable, I up and changed everything. :) Hope you still like it!